Can I get a transcript of my live session? 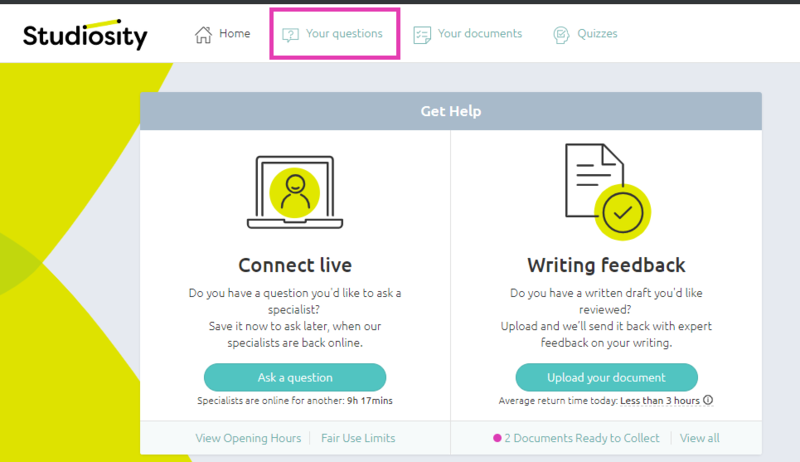 In order to retrieve your previous session transcripts, simply log in to your account and click on the 'Your questions' link in the top menu. Please note that if you use our service through your library, you may be sharing your account access with other library users and therefore this link will not be available. Library students should therefore request an emailed copy of their transcript using the form in the 'end of session feedback' area. Unfortunately, due to the volume of requests, our customer service team is not able to manually retrieve past transcripts.